Getting Ready for the Kansas City Royals Home Opener! 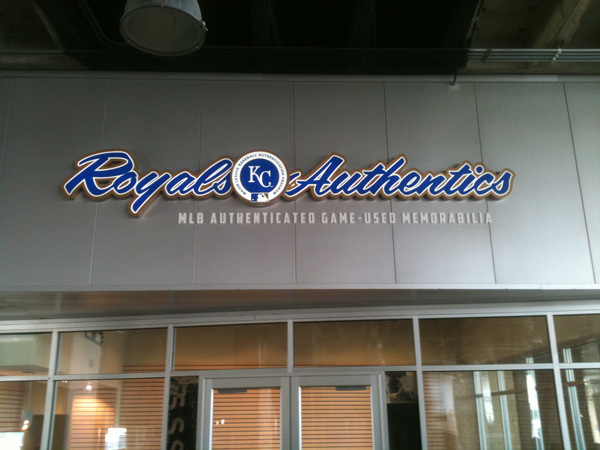 Star Signs has produced the majority of the signage at Kauffman Stadium, and as the 2013 season quickly approaches, Kauffman again looked to Star to provide new signage for its ever-evolving shops and concessions! Above is a photo of the most recent sign which we produced and installed. Keep an eye out for our work the next time you visit the stadium, and GO ROYALS!